The Low-Down: Is Apple's HomePod Too Little Too Late - Or Better Late Than Never? Is Apple's HomePod Too Little Too Late - Or Better Late Than Never? The price is much higher than Amazon's market leading Echo/Alexa and Google's Assistant. And Homepod launched almost a year later. Apple is promoting its music quality feature over its smart speaker capabilities because that's the best they can offer until its AI catches up. Who will buy a HomePod? "It's not for everybody. The immediate audience is going to be heavily invested users into the ecosystem. Beyond that, it's going to be people [who care about] sound first and smart speaker second. Apple's hoping it's a case of better late than never (but) "this is the most confusing Apple product roll-out in recent memory. HomePod has no developer story — it ties in with your iPhone." Amazon and Google opened their assistants to anyone who can provide data on the internet; Siri feels diminished by comparison. 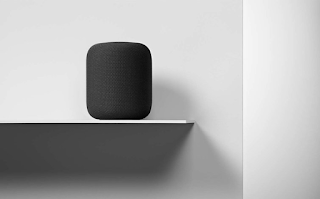 More than six months after Apple previewed the HomePod for the press and developers at its Worldwide Developers Conference, the company's first smart speaker is finally available. Preorders began Jan. 26 for the HomePod, with the speaker hitting store shelves Feb. 9. Apple's hoping it's a case of better late than never. The company missed its original December target to ship the HomePod, and it plans to add promised features in a later software update instead of including them at launch. Apple didn't even host a separate HomePod event to refresh the memories of potential buyers. With such an underwhelming launch, it's unclear how HomePod will fare against Amazon's Echo lineup or even Sonos' popular slate of speakers. "This is one of the most confusing Apple product roll-outs in recent memory," said Jason Snell, former editor-in-chief of Macworld, who now covers Apple on his own Six Colors website. "Since HomePod has almost no developer story — it ties in with existing SiriKit features on your iPhone, but that seems to be it — why was it rolled out at Apple's developer conference? And now we've seen the delay and the removal of some fairly key features." Those features are multiroom audio and stereo pairing, which let you use multiple HomePods to create a full-home sound system. Apple says it will add those capabilities in a software update sometime this year, but not enabling them at launch discourages people from scooping up multiple HomePods. "There are only two good answers to why this happened,” said Snell, who has also contributed to Tom's Guide. "Either Apple was overconfident when it came to their ability to ship hardware, or it was desperate to inject some uncertainty into the voice-assistant and networked-speaker markets in advance of the holidays. Neither of those is a familiar look from Apple." So, who will buy a HomePod? "It's not for everybody," said Creative Strategies principal analyst Carolina Milanesi, who was a part of the group who demoed HomePod at WWDC. "I think that the immediate audience is going to be heavily invested users into the ecosystem. Beyond that, it's going to be people [who care about] sound first and smart speaker second. The last bit is people who are already building a connected home that is heavy on compatibility with HomeKit rather than Alexa or Google Home." But Apple is pushing the HomePod's music credentials over its Siri functionality, with an A8 chip powering advanced audio technology. The speaker can detect where it is in a room and adjust its sound automatically. Seven beam-forming tweeters, six microphones and a large woofer are designed to provide powerful sound while still being able to hear your voice when you say, "Hey, Siri." Milanesi said the HomePod sounded better than a Sonos Play:3 in her hands-on time with the two side by side. Other critics agreed. But the HomePod supports just Apple Music for streaming, which effectively rules out any potential buyer who subscribes to Spotify, Pandora or some other service instead. Amazon's Echo dominates the smart-speaker space because it comes in several sizes at prices that range from dirt cheap to affordable, and Alexa is integrated with just about every other service and device that connects to the internet. Using Alexa, you can do everything from hail a Lyft to start your washing machine. Apple isn't pitching the HomePod as an Echo competitor, but the comparisons are obvious. You can call on Siri to tell you the morning's news headlines and forecast, control your smart-home setup and send messages. But Apple hasn't demonstrated Siri's capabilities on the HomePod to the public, so it's unclear if or how Siri will differ on a speaker compared with other Apple devices. "I expect Siri on HomePod to be just like Siri on all my other Apple devices, and that's the problem," Snell said. "Siri needs to get a lot better, including better connections to other apps and services. Amazon and Google have opened their assistants to just about anyone who can provide data via a server on the internet; Siri feels diminished by comparison." Siri will almost certainly become smarter and more capable over time as Apple figures out how to give you the information you want without compromising your privacy. Alexa and Google can answer almost every query because they tie into almost every service, but they also use your data to sell products and advertising. That's a trade-off many people don't want to make, but for some, it doesn't matter. "Is somebody going to buy a HomePod instead of an Echo because they think it's more secure? No, I don't think so, because at the end of the day, from a consumer perspective, it comes down to convenience," Milanesi said. It may also come down to timing. HomePod missed the critical holiday shopping window, presumably so Apple could fine-tune the speaker's Siri features, which were not demonstrated at WWDC. Anecdotally, I thought about buying a HomePod or two to finally replace the series of cheap Bluetooth speakers that kept dying on me, but when Apple delayed the speaker's launch, I decided to splurge on a pricier Sonos instead. Apple is clearly serious about music. Apple Music, Beats headphones and speakers, AirPods, the Shazam acquisition and now the HomePod prove that audio content and hardware are key for the company going forward. But it's unclear if the HomePod can find a large enough audience — as Snell said, it's targeted at a "fraction of a fraction of a fraction of a small but emerging market" — to eventually take on Amazon and Google.